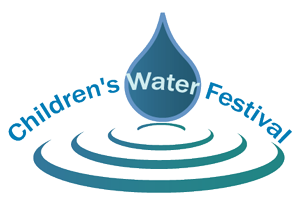 CCWCD Children’s Water Festival will promote hands-on and brains-on learning about local water issues to fourth grade students in the Weld, Morgan and Adams counties. How much water do we use and how much is there? What is the water cycle and why is it important? What is a watershed and why is it important? How are trees, plants, animals, people, soils and water interdependent? How do our actions affect water and all nature? The festival goals are to teach fourth grade students that water is an essential, limited resource and that they can take action to protect this natural resource. We provide teachers with materials and lessons that they can use for years to come. The Central Colorado Water Conservancy District created the Children’s Water Festival in 1991. This festival is one of the oldest children’s water festivals in the nation. In 2006, the City of Greeley Water Conservation and Stormwater programs began co-sponsoring the event. Need help getting to the festival? Click here for more information about the Poudre Heritage Alliance’s “Learning in Our Watershed” program. This scholarship initiative provides field trip funding to Larimer and Weld County schools when they take educational field trips to the Cache la Poudre River National Heritage Area.